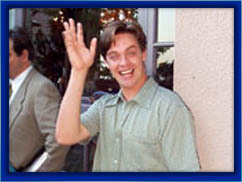 the funnest, somewhat informative home for Jim Breuer fans. you, please, go see this funny man. Below are the tour dates. Sorry about the banners, no way to stop them. 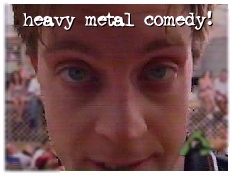 "Dont Worry, Eat Taffy" and "Keep your hammer dry"
Starting September 5th, 2003, you can order Jim Breuer's "Heavy Metal Comedy" on pay-per view for only $4.99! See Jim live at Irving Plaza in NYC! Check with your local cable operator for availablility. Or Check out Jim's DVD, Video and CD atMerchandise! Note to Page Viewers: I am not Jim Breuer, and I do not have any contact with him whatsoever. I just run a fan site!